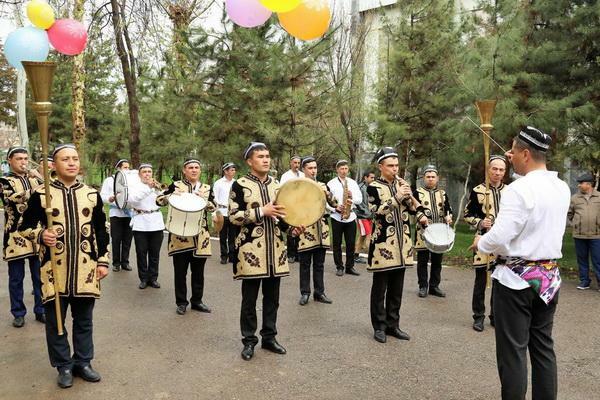 Tashkent, Uzbekistan (UzDaily.com) -- On 21 March, at the base of the sports complex of the Ministry of Defense of Uzbekistan, servicemen widely celebrated the national holiday Navruz. The Minister of Defense, Major General Bahodir Kurbanov, servicemen and members of their families, and well-known artists of the popular stage took part in the celebration. This was reported by the press service of the Ministry of Defense of the Republic of Uzbekistan. The enticing smell of freshly prepared spring dishes, pies and samsa of green filled the sports hall of the army team. 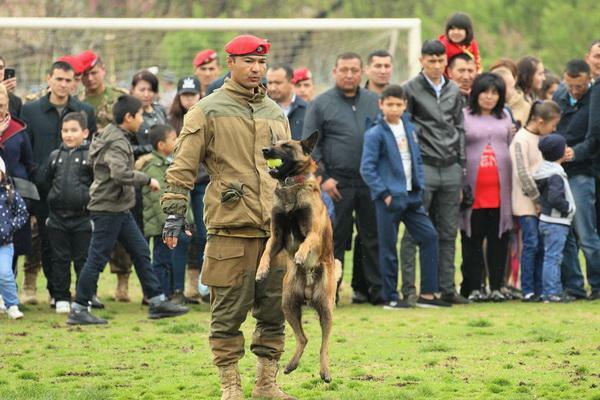 On Navruz, groups of military personnel demonstrated the scenic episodes of the national heritage, the centuries-old tradition of the Uzbek people, love and devotion to the Motherland. The army team also showed the people the rites of Navruz, which have not changed for a thousand years. 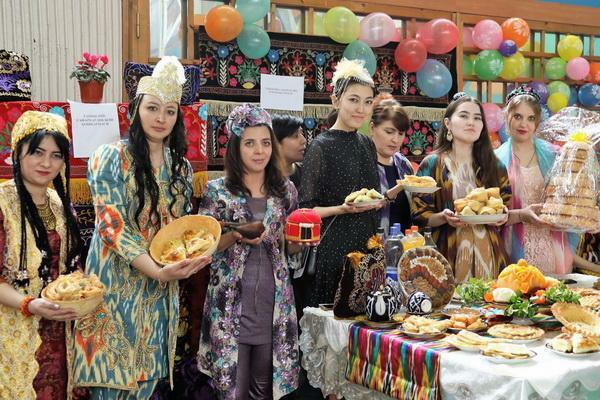 Sumalak, Halim, pilaf and dough with greens filled the tables of the Ministry of Defense units, which showed not only tasty and healthy food, but also national clothes. 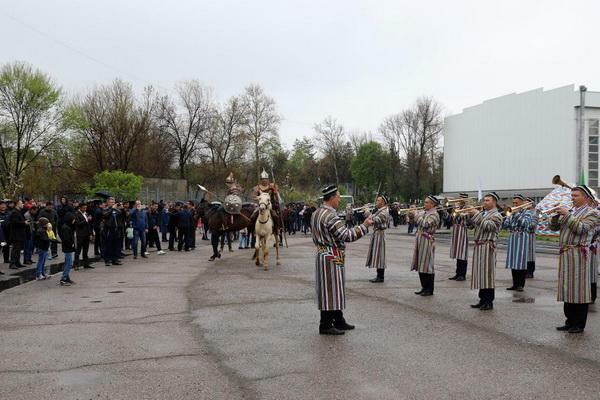 The performances of the Central Song and Dance Ensemble of the Armed Forces, military orchestras, dressed in national costumes gave the participants a spring mood and vigor after the heavy night's rain. The focus of the present culinary duel among the structural units of the central apparatus of the defense department. The servicemen cooked a traditional festive dish of pilaf. The most surprising was the fact that each group of military culinary cooked this dish in different ways. It was possible to try Samarkand, Khorezm, Tashkent, Surkhandarya and pilaf of other regions. Sporting events among children and adults were also peculiar. The teams competed in tug-of-war, table tennis, games of checkers and chess, volleyball. An exciting tournament on national kurash became. 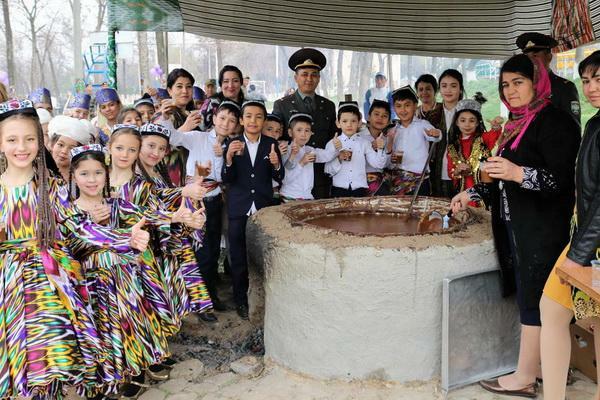 Two cauldrons of 200 liters of sumalak, cooked by the central apparatus and the trade department of the Ministry of Defense, distributed to those present at the festivities.